Powered by Playtech Mobile gaming platform, Casino Las Vegas Mobile offers a $555 welcome bonus. 14 mobile casino games are provided for players to choose from, and the software will run on hundreds of different mobile devices. They even run a 3-level VIP program that all mobile users are eligible to join. As mobile casinos go, Casino Las Vegas Mobile has quite a lot to offer. 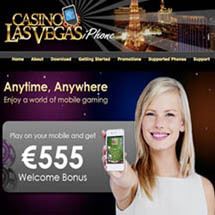 Casino Las Vegas Mobile uses Playtech Mobile software. The casino’s device compatibility is quite good, and while players with Palms are out of luck, the games will install on most other mobile devices that were made in the last few years. 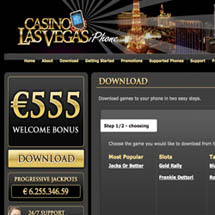 Players must go to the casino website either from their mobile or via their computer to have individual games sent to their phone – just pick a game, type in a phone number, and wait for the game to arrive. 14 games are available for download from Casino Las Vegas Mobile. 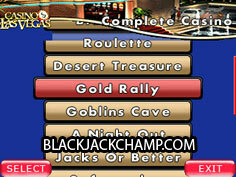 Many are miniaturizations of classic Playtech games like Safe Cracker and Gold Rally. In addition to seven mobile slots, including both 3 reel slots and 5 reel video slots, the casino offers baccarat, roulette, Jacks or Better video poker, and of course blackjack. The graphics are nothing to get excited about, but the games play very nicely, and are designed to work well on small screens. Casino Las Vegas Mobile offers a great range of bonuses to both new and existing players alike. 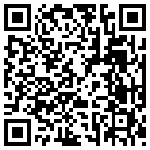 When signing up with a new mobile account, all players receive a $555 welcome offer. Once players are ready to add their own money to their account, the casino will match their first deposit at 100% up to $100, 2nd deposit at 100% Max. $200, and 3rd deposit at a lucrative rate of 100% Max. $255. Weekly top-up bonuses offer 50% or even 75% matches, and an additional 15% bonus is added to all deposits made using alternative banking methods. On top of all this, a point-based loyalty program offers even more benefits. Casino Las Vegas Mobile offers an excellent range of mobile casino gambling services. Strong bonuses, lots of games, and fantastic device compatibility are all good reasons to join. While not all of the game selection works on iPhones, future updates might include these as well. Overall, this mobile gaming casino is definitely worth checking out.